“We now have this light shining in our hearts, but we ourselves are like fragile clay jars containing this great treasure. This makes it clear that our great power is from God, not from ourselves.” (2 Corinthians 4:7 NLT). This verse and the surrounding context verses give us insight into what this great treasure of Christ in our life can do for us. 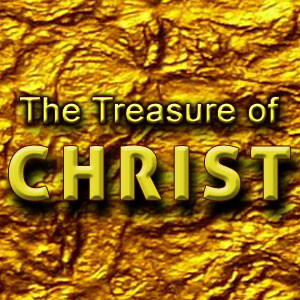 In this post I would like to share with you eleven expectations of the treasure of Christ. Establishes your “integrity” (2 Cor. 4: 2) – If you don’t have your integrity you have nothing. What Paul is saying is when we have the treasure of Christ in our hearts; we will not try to trick people! We will be honest with them. I don’t care if it’s dealings in business or ministry or family or whatever, we won’t try to distort the truth or use “underhanded methods” especially as it relates to delivering the Word of God. We shouldn’t use deceit to make us look good. That’s not integrity. Prioritizes your “message and service” (2 Cor. 4:5) – The message is Christ and your service is for others. It’s Christ and others first, and you second. When Christ is indeed our treasure we won’t be concerned with what comforts us, but with what comforts others. Prioritizing your message and service means you speak of Christ and you serve your brothers. (Romans 12:9-10). 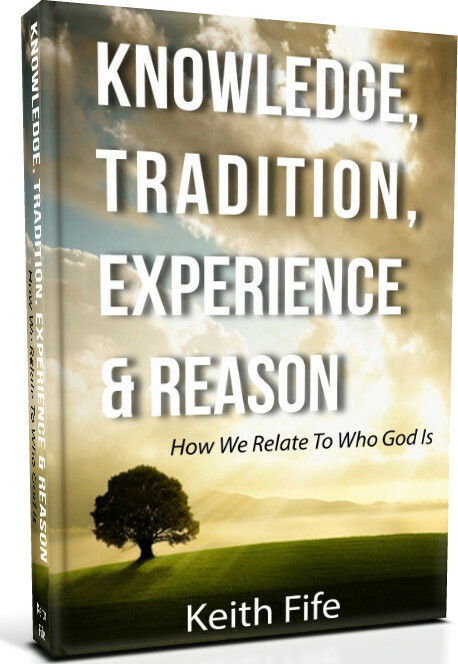 Reveals to you “who God is” (2 Cor. 4:6) – God’s glory is great! When you know Christ as your treasure, you know God! God doesn’t have a master plan to keep you in the dark! He has shone His light (Jesus) in your heart and his glory is in the face of Jesus! Jesus told the disciples: “You’ve seen me you’ve seen the Father.” The treasure of Christ in our hearts is to reveal who God is! Develops “humility” in your life (2 Cor. 4:7) – God is so opposed to the proud! (Proverbs 6:16-19; James 4:6 [opposes the proud…]). Being humble involves having a true perspective about ourselves in relation to God, which in turn gives us a correct perspective on our relationships with others (Romans 12:3). It is a healthy respect for who God is, and who we are in relation to God, because of what He has done for us. Humility is not “self-abasement.” It doesn’t mean that we put ourselves down and tell everyone how bad we are at everything and refuse to acknowledge any good in ourselves. Produces “perseverance” in your struggles (2 Cor. 4:8-9) – When you have this treasure in you, you are able to withstand tribulations, trials, and struggles. These are a part of the Christian life. Never try to avoid the trials. There is always hope! God uses the struggles in our life to develop and mature our faith. It is the struggle that tests our faith; the testing of our faith brings perseverance; and the perseverance helps us to become complete and mature so that we lack nothing! (James 1:2-4). Exposes the “life of Christ” in your body (2 Cor. 4:10-11) – This is huge! The life you live is not your own! You belong to Christ. “I am crucified with Christ: nevertheless I live; yet not I, but Christ liveth in me: and the life which I now live in the flesh I live by the faith of the Son of God, who loved me, and gave himself for me.” (Galatians 2:20). We live this life in the flesh by “faith.” But we live life in the Spirit by Christ and the Holy Spirit who dwells in us. How much of Christ’s life is evident in you and me? “For ye are bought with a high price so you must honor God with your body.” (1 Corinthians 6:20). Compels you to “share Christ” with others (2 Cor. 4:13-15) – (The NLT puts it this way: “But we continue to preach because we have the same kind of faith the psalmist had when he said, “I believed in God, so I spoke.” We know that God, who raised the Lord Jesus, will also raise us with Jesus and present us to himself together with you. All of this is for your benefit. And as God’s grace reaches more and more people, there will be great thanksgiving, and God will receive more and more glory.) When you truly value the treasure of Christ in your heart and life, you will want more and more people reached with the grace of God which will bring God more and more glory! Renews your “spirit” every day (2 Cor. 4:16) – The NLT says “our bodies are dying…” Nothing is worse than wasting away outwardly and inwardly. But that’s not the case for those whose treasure is Christ. We will all waste away outwardly but we can be renewed in the spirit day after day! The outer man loses strength with age but the inner man receives new strength and vigor every day no matter our age! Puts in perspective “this life versus eternal life” (2 Cor. 4:17) – This life is momentary. Time means nothing to God because God lives and dwells in eternity. He is eternal. Yet for us time is everything. We only have so much time in this world. But when Christ is our true treasure, it puts this life compared to eternal life into perspective. What you are going through today may seem like it will never end, but it will. He is my Savior, my Lord and my Master, Jesus is precious to me. What about you this? Is Jesus precious to you? Have you valued the treasure of Christ or is he just “another” ordinary part of your life? Nothing special; just a habit or routine you have checked off your list. What if you who have never accepted the treasure of Christ? Are you ready today? Christ changes everything!